Many owner operators not only own and operate their own equipment, they also do most or all of the repair and maintenance on their own equipment not to mention stay in compliance with a myriad of tax and log book rules. We pride ourselves on helping owner operators run their operation like a business and eliminate the worry over taxes. We are available year round to discuss any tax questions and help you plan for the coming tax season and our initial consultation is free. David has been working with owner-operators for 10 years and understands that your free time is limited and that you need a tax preparer who understands trucking. He knows that trucking is a unique industry with unique tax rules. For example, truckers get to take advantage of increase per diem deductions than most other businesses. Not to mention fuel taxes credits available for certain equipment, plate fees, 2290 taxes and changes in depreciation. Please visit our website devoted to Trucking at www.truckerstaxreturns.com. Don’t let back year’s taxes hang over your head any longer – call today to start resolving your tax burdens! We will help you work with the IRS to reduce your taxes and work on repayment or other alternatives. Call to learn more about our IFTA Tax Services. Trucking requires a major investment into tractors and trailers. Many financing companies offer up to 60 months financing which helps on cash flow, especially if you are just started your own business. However, IRS depreciation is only 3 years on tractors and 5 years for trailers. That means that you deduct your tractor over 3 years no matter how long you financed it for. So many people end up paying on the equipment long after the tax deductions run out. But what makes depreciation really confusing is how the IRS calculates it. Three years actually means you will have some depreciation in each of 4 years. And depending on what part of the year you buy it and how much you spend on other equipment, most of the write-offs occur in the first 2 years. For example, if you buy a $50,000 tractor it is possible to write off $16,665 the first year, $22,225 the second year, $7,405 the third year, and only $3,705 the last year. This means your overall tax liability will increase significantly the third year you own the equipment. Most tax preparers do not prepare the trucker for the shock that is coming in the third year and they don’t understand why all of a sudden they owe so much tax. David will explain to you what to expect in future years and help you plan for it accordingly. Cash Basis taxpayers prepare their taxes based on the money the received and spent on their business during the year. Accrual Basis taxpayers prepare their taxes based on money the earned (whether or not they actually received it) and expenses they incurred (whether or not they actually paid them). It is important for trucking companies to be on the cash basis because almost always their receivables outweigh the liabilities. For example, your customers might not pay you for 30 days or more, but if you have employees or contracted drivers they need to be paid weekly. So you are paying expenses quicker than you are getting paid yourself. If you are on the Accrual Basis of accounting you are not taking advantage of this fact. Some tax preparers don’t know about the special rules that allow trucking companies to be cash basis when other industries would be required to be accrual. If you think this applies to you then call us today to discuss it. Over-the-road truckers who are working away from home may be able to deduct their meals and entertainment expenses.There are two ways to do this, one is to keep all your receipts for meals and deduct the actual costs. Another way is to use the per diem method. Under the per diem method, you deduct a standard amount for each day you are out. In 2011 the amount was $59 per day. The nice thing is you just have to keep track of the days you were out and you do not necessarily need to keep all your receipts (although having receipts is good to prove that you were out, especially if you do not keep your log books). Most people can only deduct 50% of these expenses but truckers subject to DOT Hours of Service Rules may deduct 80%. As with all tax rules, your situation may be different from what I described above. 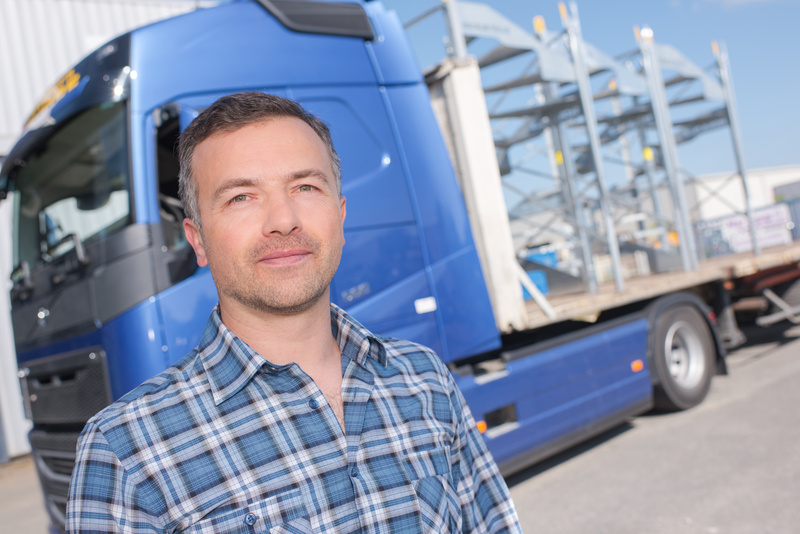 If you are a company driver, for example, your employer may already be paying you per diem which means you cannot deduct it too. And you are subject to certain limitations for itemized deductions. The per diem method mostly benefits owner operators who can directly deduct these expenses on schedule C against their income. To see if per diem deductions can benefit you please call today and we will discuss your unique situation. We prepare quarterly IFTA tax forms plus New York, Kentucky, New Mexico and Oregon. Rates depend on how many trucks, how you provide us the information and we receive the information monthly or quarterly from you. Call today for a free quote. Some states (such as Kansas) impose additional property taxes on your equipment that rolls through their state. You have to track the cost of the equipment that ran through that state and the number of miles ran by each piece of equipment. We also handle these taxes.